Buenos días! Hoy os traigo un DIY sencillo pero muy práctico. Dónde dejáis los pendientes, anillos y demás florituras cuando os metéis en la cama o en la ducha? 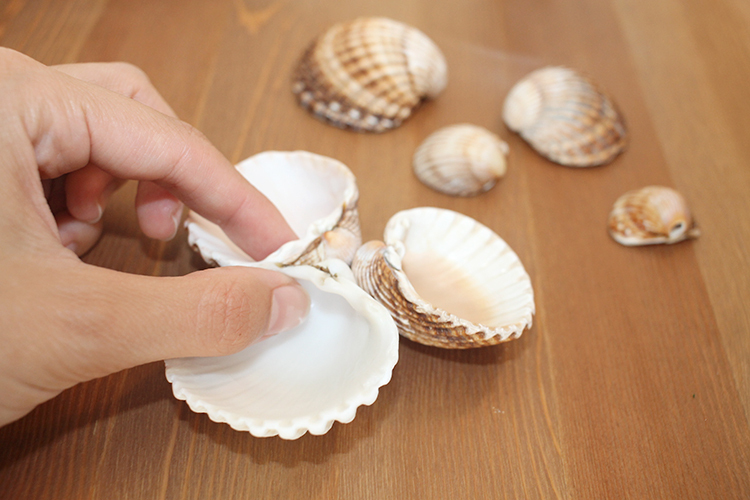 Coged unas conchas de la playa, que además es una forma genial de hacer ejercicio, y en 10 minutos tendréis esta bandejita para las joyas, perfecta para el tocador o la mesilla de noche, os gusta? Good morning! 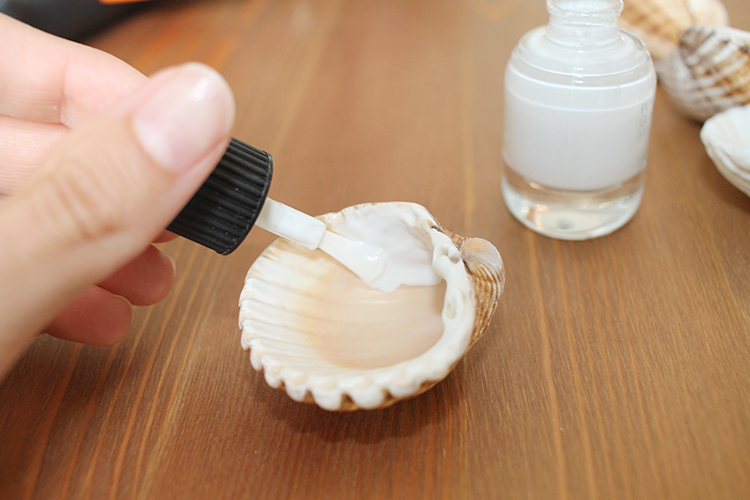 Here's an easy but really useful DIY. Where do you leave your earrings and rings when you go to bed or take a shower? 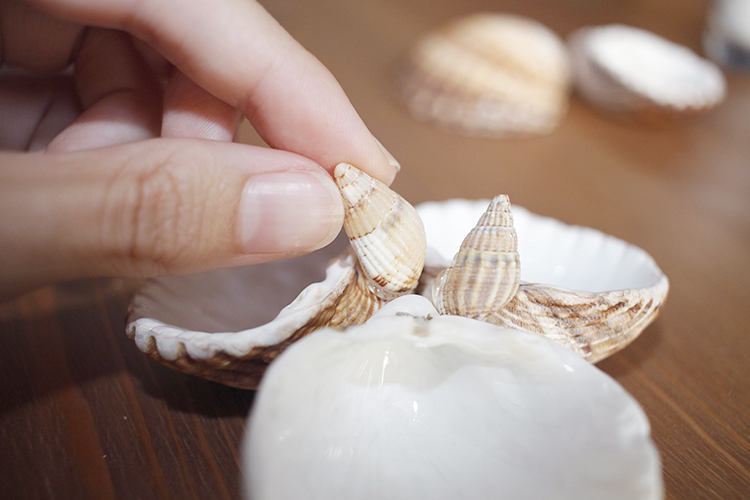 Grab some shells from the nearest beach, which is also a great way of exercising, and in 10 minutes you can get this jewelry tray, perfect for your vanity table or the nightstand. How cute is it!? 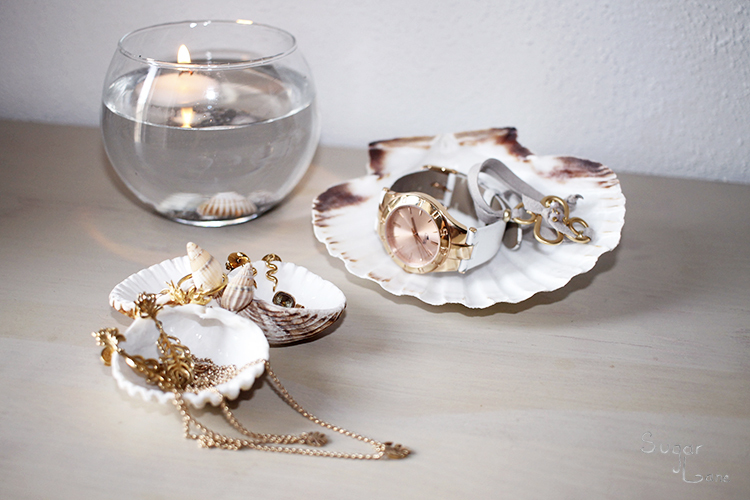 Utiliza una concha grande para el reloj y pulseras grandes, y también puedes usar arena y conchas para decorar un vaso con una vela flotante / Use a big shell for the watch and big bracelets, and you can put sand and shells to decorate a glass candle holder. A disftutar de tocador nuevo ! ! ! / Enjoy your new jewelry tray ! ! ! Wow! What a good idea, Such a great post. Thank for sharing. so cool and easy! thanks for the idea! Such a cool idea, great job! These are just too magnificent. 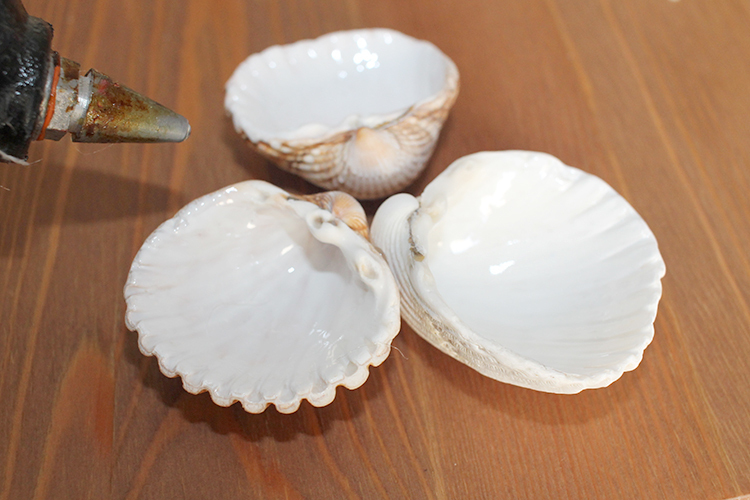 I definitely need to find some shells now ! 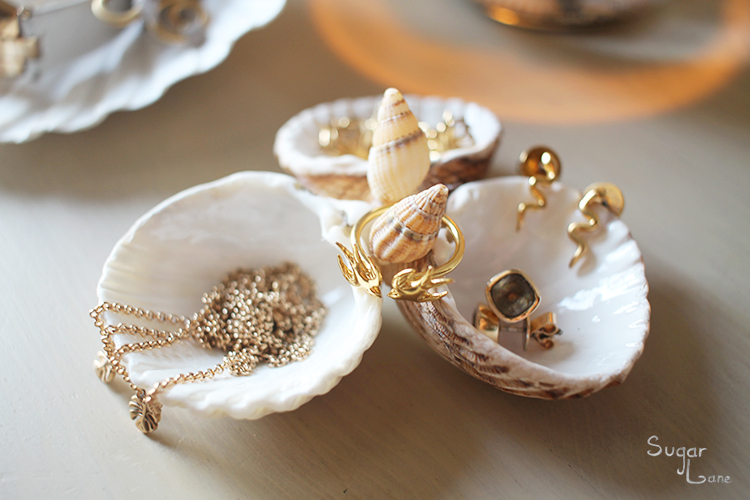 What a pretty way to display jewelry! q manitas, te ha quedado ideal! You are truly talented! I do like this jewelry tray a lot! 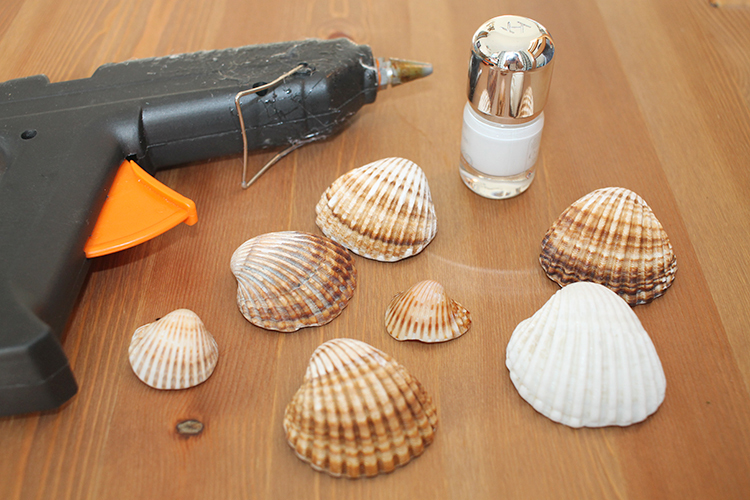 Such a clever DIY idea! These trays look so pretty! Thanks for sharing! Wow, this is really a beautiful and helpful idea! Thanks a lot for sharing and enjoy this weekend! OMG, you have some of the best ideas. I love this DIY jewelry tray so much!! What a great idea and it looks so pretty. Thanks for sharing it. Have a beautiful day. me encanta! yo nunca sé donde poner los anillos por la noche y muchas veces acaban por el suelo, me lo apunto! What a beautiful DIY - this is like something you would see sold at Anthropologie! You've done a fabulous job! Wow, thank you! That's such a lovely compliment! I'm glad you like it so much! Ohh, qué buena idea! Me encanta!